Dingbats! 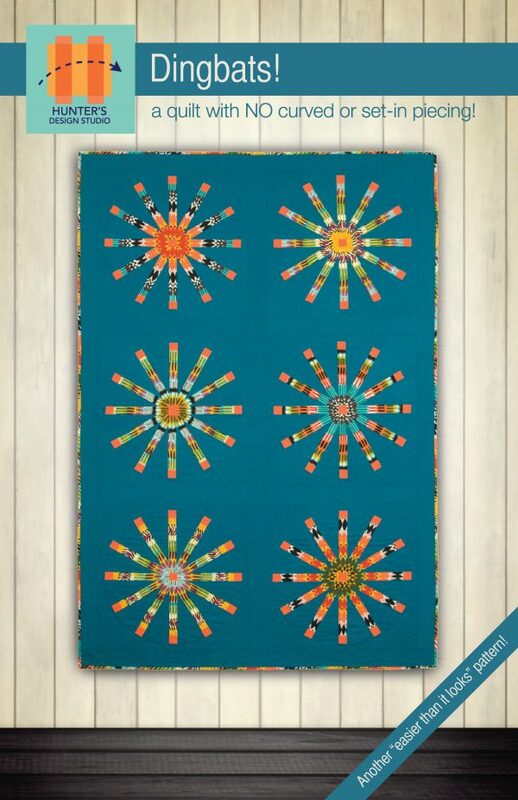 is a modern block-based quilt with NO curved or set-in piecing. The illustrated instructions guide you through some easy straight line piecing to make this stunning retro-inspired quilt. SKILLS: All straight seams, straight and bias edges; templates; good 1/4” seam accuracy with attention to not stretching bias edges. DELIVERY: PDF patterns are delivered immediately: you’ll receive an email containing a link to the pattern as soon as the order is completed. Hard copy patterns are shipped within 48 hours, unless we’re out of town, in which case a banner at the top of the site will tell you when shipping will resume. Join the Inner Circle for occasional newsletters, exclusive goodies, and local class opportunities!